The company offers extensive experience in Centrifugal Castings technology and is well placed to cater to the entire Centrifugal Casting requirements of the Industry. This is achieved in collaboration by an efficient sales force, the most up-to-date Research and Development Laboratory, well equipped manufacturing facility as well as full fledged tool development setup. Ability to offer castings in fully finished condition. Choice of AS-CAST or Machined Castings. Capable to handle any volume with short lead tine. In-house research & development department for die design. Experienced manpower for production of defect free castings. Relevant filed trained staff of Engineers. With its depth of knowledge in Centrifugal Casting technology, Hyderabad Castings Limited is well placed to offer technical assistance when needed and to work with Customers on specific Centrifugal Casting Requirements. 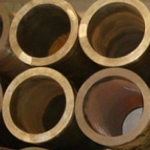 In Centrifugal Castings, we can make pipes with OD ranging from 90mm to 500mm and in length upto 3000mm. We have One horizontal centrifugal casting machine from USA wherein we can make pipes upto 3000mm length. Apart from this, we have four other machines to make pipes up to 500mm length. Also, one vertical centrifugal casting machine to make bushes up to 500m dia and 200mm length. 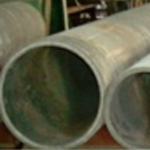 For tubes with more than 3000mm length, we can weld them as per requirement. Welding is by tig welding and joints are pressure tested to ensure casting soundness. Please fill in the form for enquiries. You can also email us at marketing@hydcast.com.